You might live in an older home, feel cold air coming from windows when they're closed, notice that no matter how long the furnace runs it doesn't get certain rooms comfortable, or maybe you can tell you need attic insulation because while every other house on the street has frost or snow on their roof, yours has melted off. 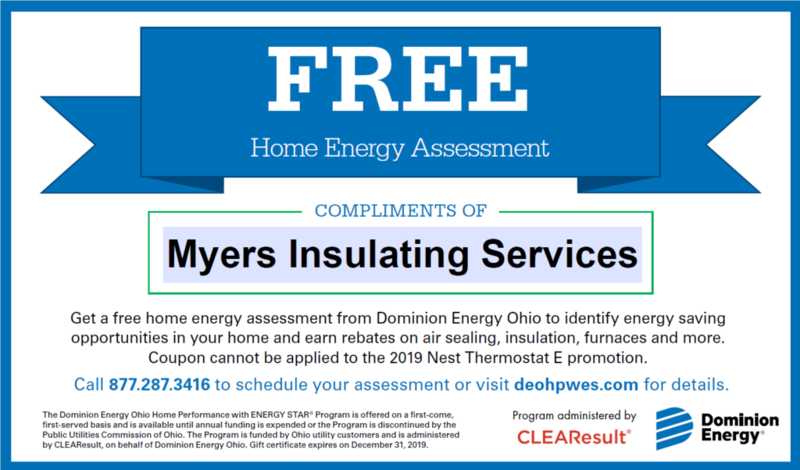 Before you call the HVAC company for a new heating system and before you spend thousands on new replacement windows - get a free home energy assessment through the CLEAResult program of Dominion Energy. Use this card to receive a free home energy assessment from a certified auditor before December 31st, 2019 - usually a $50 expense. Just tell them Myers Insulating Services sent you. How Does a Free Home Energy Audit Work? Many home owners don't know about the Home Performance with Energy Star Program offered by Dominion Energy so let us tell you and you can pass the word. Dominion Energy Ohio’s Home Performance with ENERGY STAR Program takes a comprehensive approach to help boost your home’s comfort and long-term value. It all starts with a home energy assessment. Whether you are making energy-efficient improvements, are listing your home for sale or if you’ve recently purchased a home, you can benefit from having a home energy assessment. Plus, rebates up to $1,250 are available for eligible improvements. During a home energy assessment, a certified energy advisor evaluates your entire home as one interconnected system to understand exactly how it’s using—and wasting—energy. The assessment takes between 2–4 hours, and considers your heating and water systems and levels of insulation. The energy advisor will also perform a blower door test to check for air leaks and perform safety tests on your furnace and water heater. Your energy advisor may then install energy-efficient products at no cost. After the assessment, you’ll receive a customized report full of recommended improvements to help you save even more. Recommendations may include air sealing, insulation, upgrading old or inefficient heating, or replacing windows and doors. 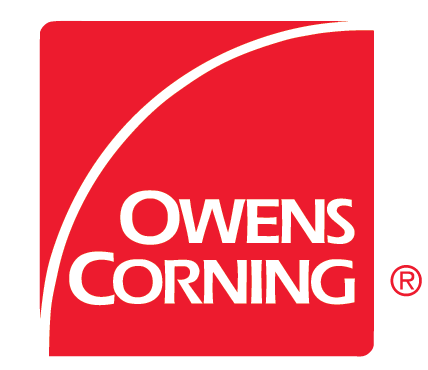 Available contractor-installed improvements must be completed by a participating contractor - which Myers Insulating Services is and that is why when you mention us, you get a FREE Energy Audit! 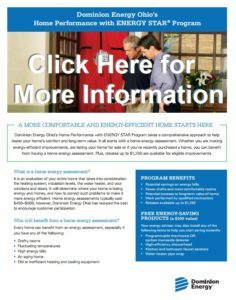 So call 877.287.3416 to get started with your free home energy assessment - just make sure to tell them Myers Insulating Services told you about the program or you will be charged for the audit. Read more information about the home energy assessment process.